Known for its bloody violence and Fatality moves, Mortal Kombat has remained one of the most popular fighting video game franchises since its creation. Celebrate your own fighting prowess with the fantastic assortment of Mortal Kombat merchandise that we offer here. 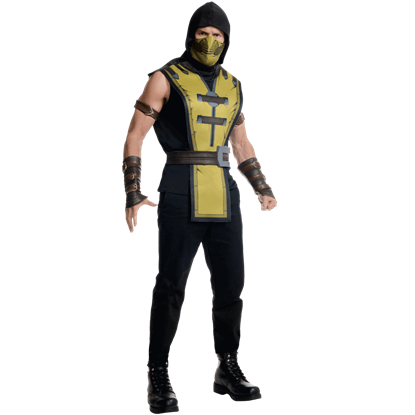 We carry a great selection of Mortal Kombat apparel including Mortal Kombat t-shirts featuring popular characters like Scorpion and Sub Zero. Fans of the video game series can also show off the iconic Mortal Kombat dragon logo with a number of our Mortal Kombat collectibles. 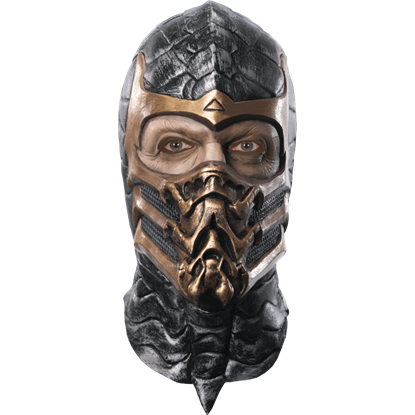 We offer Mortal Kombat masks, as well, for anyone who wants to dress like your favorite fighters. This growing category contains items from the continuing iterations of the series, up to Mortal Kombat X and beyond. Take a moment to peruse our Mortal Kombat products to find the perfect way to show off your enjoyment of the games! Raiden is one of the central characters of the Mortal Kombat franchise. Raiden wields the elemental powers of thunder and lightning. 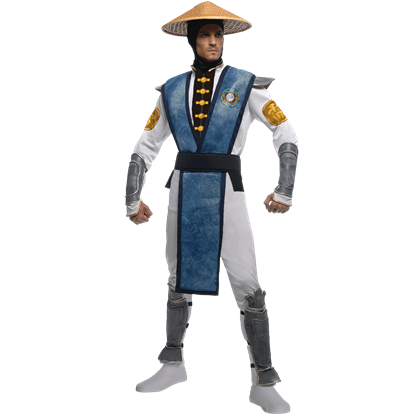 This Adult Raiden Secret Wishes Deluxe Costume is perfect for Halloween or any costumed event. Revenant Scorpion has sworn vengeance against those who destroyed his clan and killed his family. Scorpion is a favorite among Mortal Kombat fans. This Adult Scorpion Jumpsuit Costume is perfect for Halloween or any costumed event. Scorpion is a revenant warrior from Japan in the video game series Mortal Kombat. He seeks vengeance against those who destroyed his clan and family. 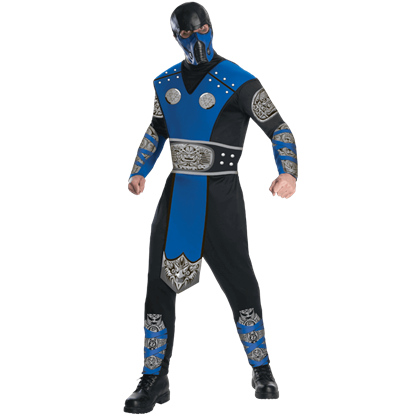 This Adult Scorpion Tabard Costume is perfect for Halloween or any costume event. Sonya Blade is one of the original seven player characters in the series Mortal Kombat. She is a Special Forces commander taking down Black Dragon. This Adult Sonya Blade Deluxe Costume is perfect for Halloween or any costume event. Evil wraith fighter Sub-Zero controls ice. He is a favorite among Mortal Kombat fans, and has been in every installment of the video game series. This Adult Scorpion Jumpsuit Costume is perfect for Halloween or any costumed event. Mortal Kombat veteran Sub-Zero is a formidable fighter who is able to control ice. He the only character to appear in every Mortal Kombat fighting game. 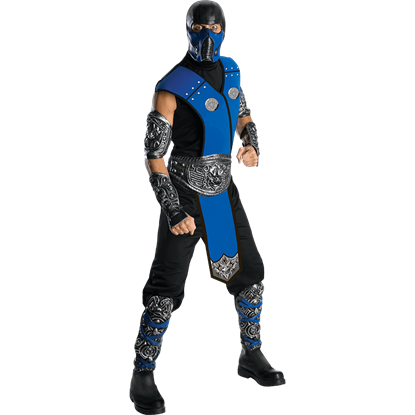 This Adult Sub-Zero Tabard Costume is perfect for Halloween or any costume event. An original character that began with the first arcade game, Scorpion has appeared in every Mortal Kombat game since. 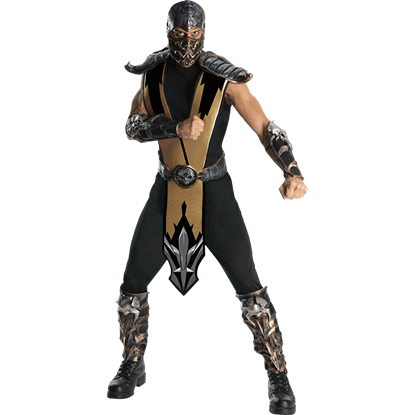 The Mens Mortal Kombat Scorpion Costume lets you transform yourself into this hell-spawned specter of revenge. Even before being transformed into evil wraith, Sub-Zero possessed impressive control over the element of ice. 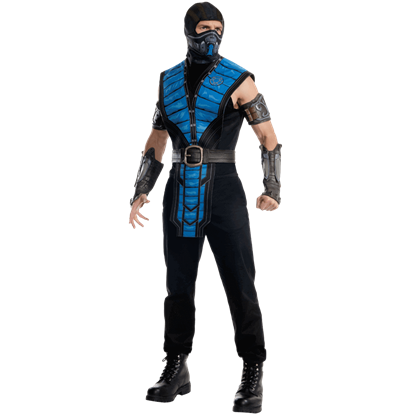 Now you can take on the appearance of this cold-blooded assassin with the Mens Mortal Kombat Sub-Zero Costume. GET OVER HERE!!! These words are practically famous and are the most cited lines of the taciturn undead ninja Scorpion. And now, you can take on his look by putting on the mask modeled after his appearance in Mortal Kombat games. Heralding from the realm of Edenia, this ageless fighter exudes great strength and ability. Take down every challenger as your favorite character from an epic video game series with the Mortal Kombat Secret Wishes Kitana Costume. Showcase great strength and skill at your next cosplay event as the evil fighter from an epic video game series. Prove that you are more than a clone and worthy to rule Edenia with the Mortal Kombat Secret Wishes Mileena Costume. As an officer of the United States Special Forces, you are determined to take down Kano and his syndicate. Step into your role as general of the OIA with the Mortal Kombat Sonya Blade Costume and complete your Halloween mission.